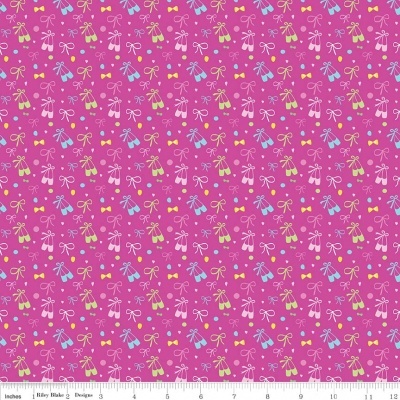 Co-ordinating ballet slippers design on a bright pink background, 100% cotton from the Riley Blake Ballerina Bows cotton collection. 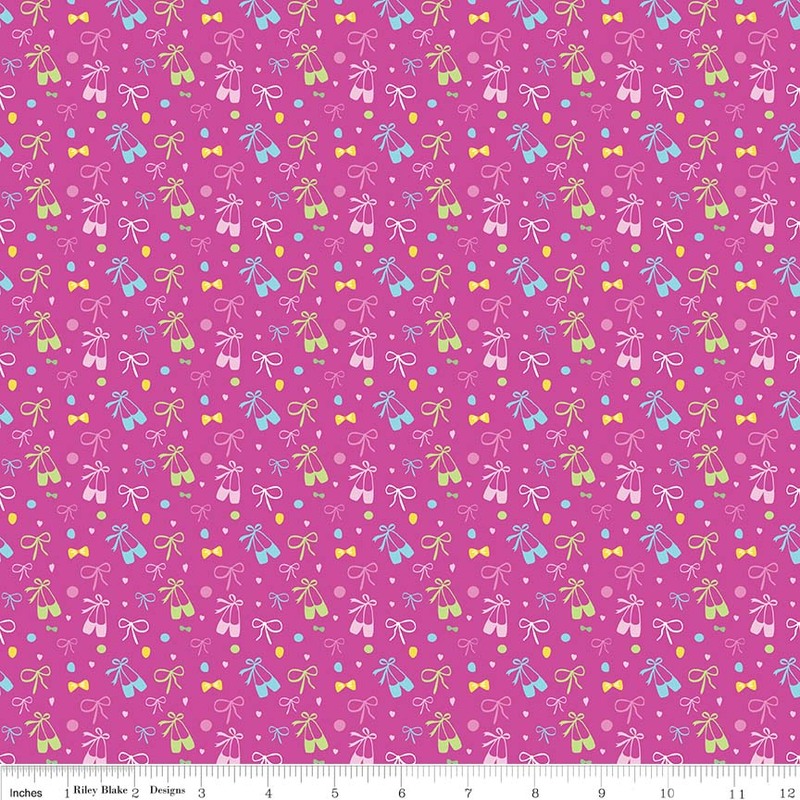 112cm / 44" Width, this fabric weighs approximately 150gsm. Multiples of a size will be cut as one piece unless requested otherwise.